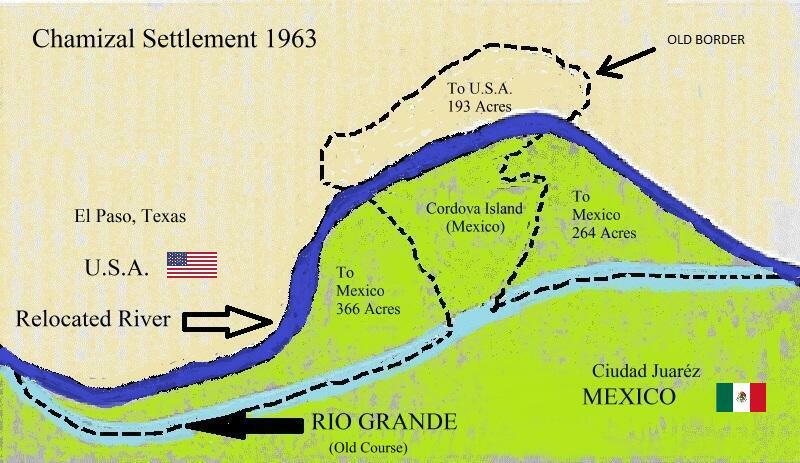 September 30, 2014 - When the United States and Mexico agreed to designate a large portion of the Rio Grande as the international border between the two countries in 1848, no one asked the river whether it wanted to accept such a huge responsibility. And so, because nature is never bound by international treaties, the course of the river kept shifting — making the border inconsistent, inviting unscrupulous land-grabbing and igniting bitter feuds that lasted more than a century. In the 1850s and 1860s, the Rio Grande changed course several times and created strips of land that constantly came under dispute. And when the century-old feud finally was settled in 1963, it was considered such a momentous achievement that monuments were subsequently built on both sides of the river to commemorate the historic agreement. 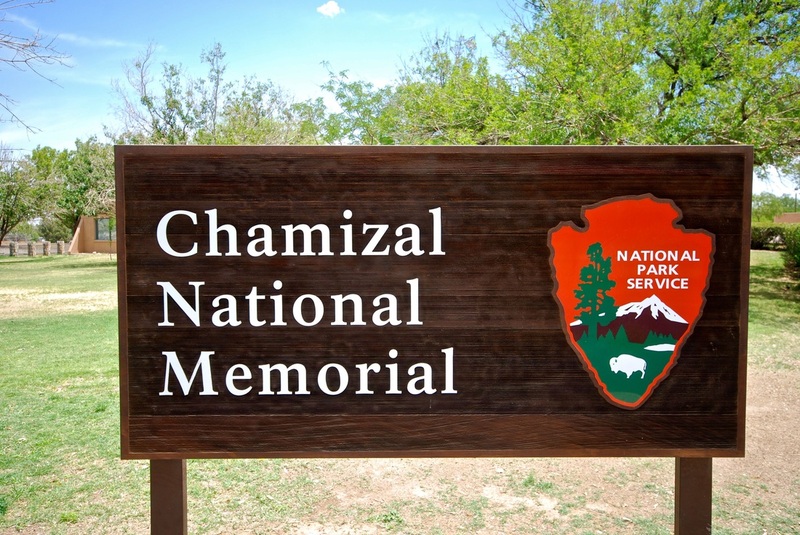 On the U.S. side, it's called the Chamizal National Memorial, and it still stands as a "Symbol of Disagreement and Monument to Cooperation" in the heart of El Paso, Texas. 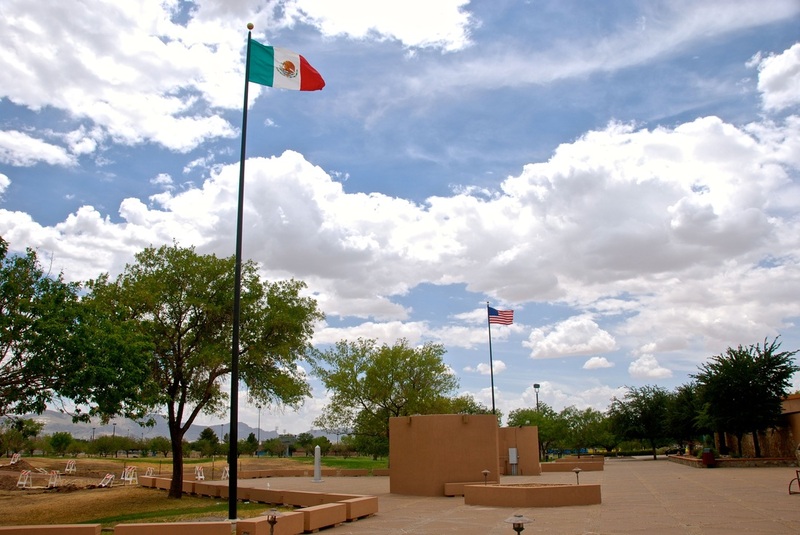 Administered by the National Park Service, "El Chamizal" serves as a park, museum and cultural center on the north bank of the now-immovable Rio Grande. If there is a place to learn the history of this river and its controversial role as an international boundary, this is it. It may not be required reading in American classrooms, but it was a required stop for the Great Hispanic American History Tour. We don't want this history to become part of our hidden Hispanic heritage! Some background: When the Treaty of Guadalupe Hidalgo ended the two-year Mexican-American War in 1848, it designated the Rio Grande as a large portion of the new 2,000-mile international boundary between the two countries. 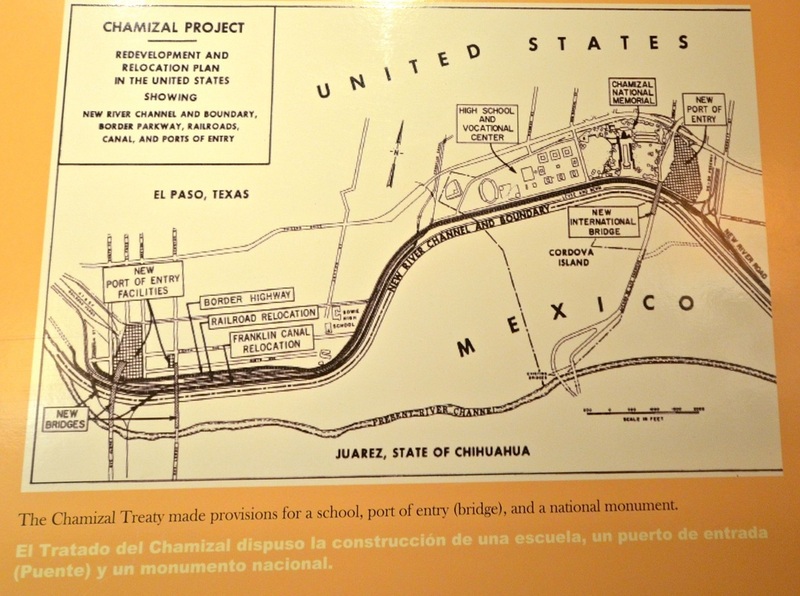 But at the Chamizal museum, you learn that "just as soon as the treaty was signed, the river continued to move south. As it did, it took some of the Mexican land and left it on the American side of the river. It was quickly claimed by American land speculators." The exhibit also explains that "for a century, two nations, covering two-thirds of a major continent, argued bitterly over 600 acres of land" and that "sincere efforts at arbitration failed in 1911 and 1930." But it notes that international cooperation finally succeeded in 1963, when the two countries agreed on a new river channel, which placed 630 acres of land (including 366 acres that were under dispute) on the Mexican side and 193 acres on the U.S. side. The agreement practically guaranteed that future river/border shifts would be prevented, because it also called for the construction of a concrete river channel that was to be paid by both countries, including a new bridge border crossing. But it took four more years to finally realize all these plans. 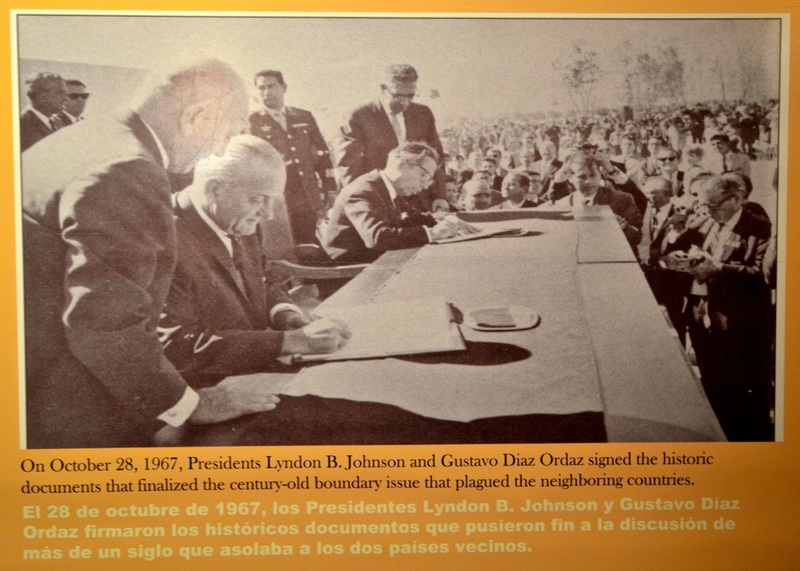 On Oct. 28, 1967, Presidents Lyndon B. Johnson and Gustavo Diaz Ordaz signed the historic documentation that settled the century-old dispute. 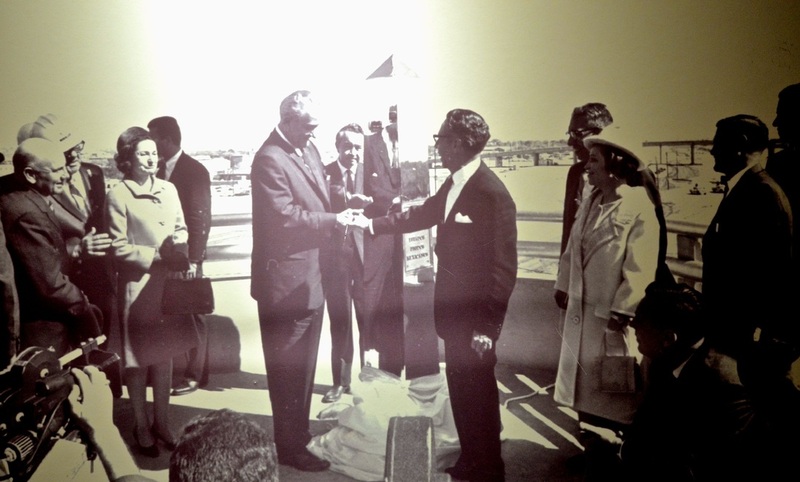 The two presidents flew together from Washington to El Paso, where thousands lined the streets to greet a presidential motorcade across the city, across the old Santa Fe Street Bridge and into Ciudad Juarez, Mexico, where they visited the Mexican Chamizal memorial and celebrated the formal transfer of land between the countries. 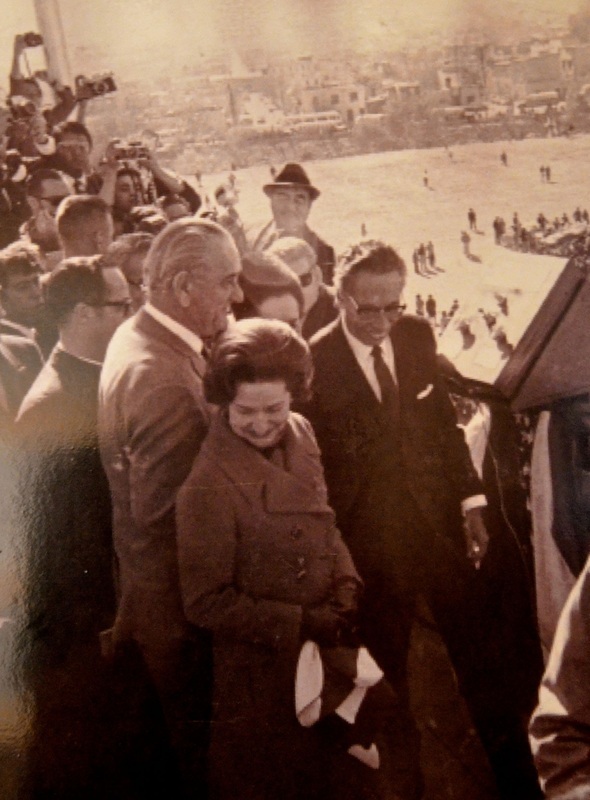 On Dec. 13, 1968, Johnson and Diaz Ordaz met again in El Paso, stood on the newly built international Stanton Street Bridge and officially changed the border by opening the floodgates of the Rio Grande, allowing it to flow through its new 4.3-mile concrete channel dividing El Paso from Ciudad Juarez. 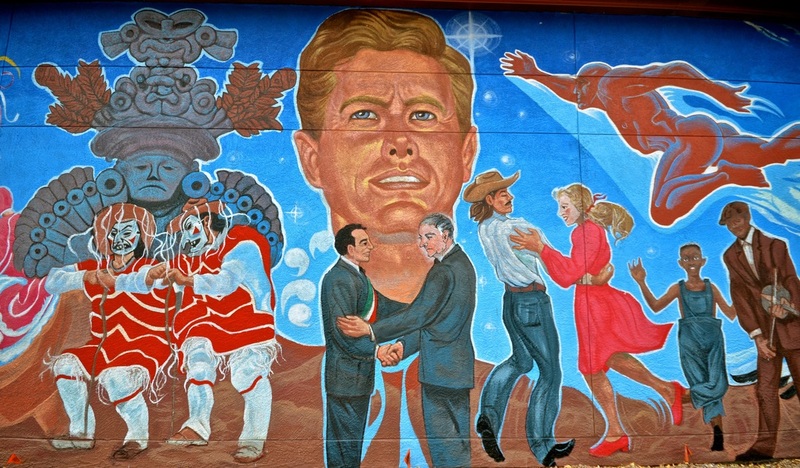 Their willingness to keep returning to the El Paso/Juarez border was especially significant because five decades earlier, two other presidents who met there were nearly assassinated. In 1909, Presidents William Howard Taft and Porfirio Diaz held a historic summit on the El Paso-Juarez border. It was the first meeting between a Mexican president and an American president and the first time a U.S. president would cross the border into Mexico. But just for agreeing to meet in the disputed Chamizal area, which was deemed neutral territory during their summit, Taft and Diaz had been subject to assassination threats. Even worse, a potential assassin, holding a concealed palm pistol, was captured and disarmed within only a few feet of the two presidents. 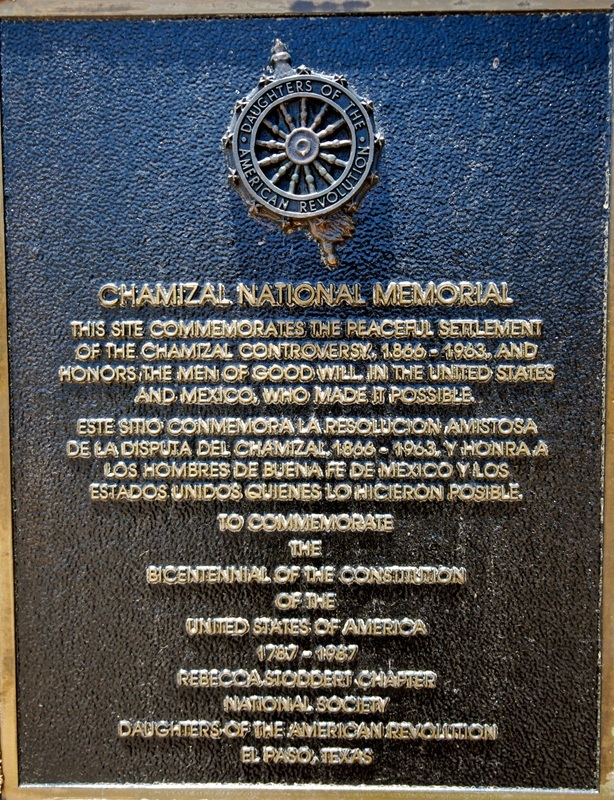 Rather than play up that incident and the bitter feuds that occurred during that century, the Chamizal National Memorial "commemorates the peaceful settlement of the Chamizal controversy" and "honors the men of good will in the United States and Mexico, who made it possible." 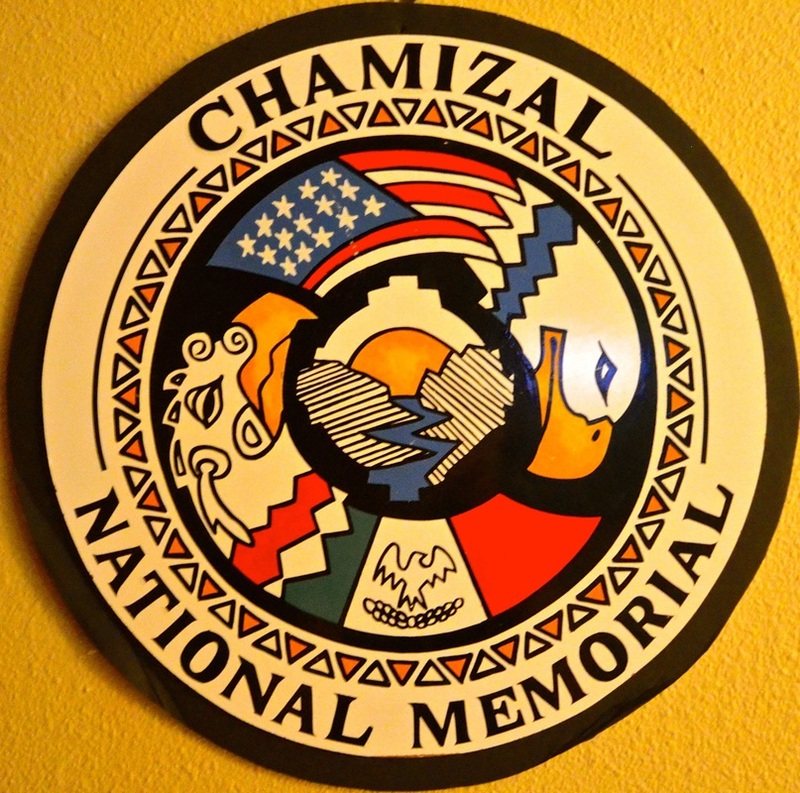 The signs there tell you, "Chamizal is more than a place to recreate. 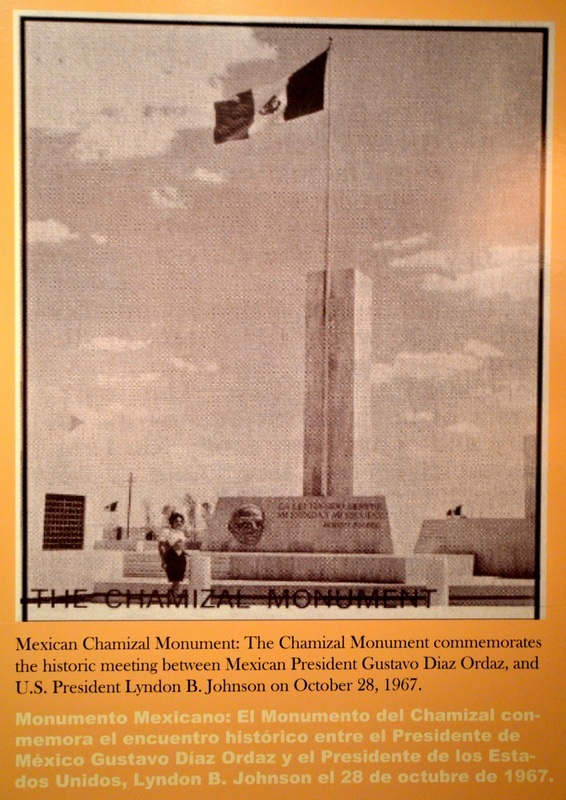 Chamizal has an important story to share with people from across the country and the world ... this story of diplomacy and friendship between the United States and Mexico." 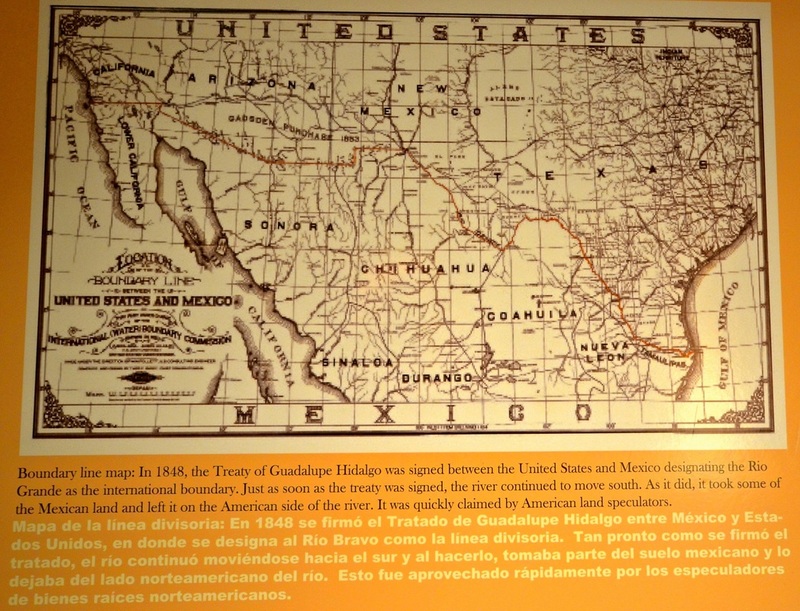 The museum exhibits take you back before the Chamizal disputes began and on the same 2,000-mile journey made by teams of surveyors — "boundary commissions" — from both countries who were assigned, under the Treaty of Guadalupe Hidalgo, "to designate the boundary line with due precision, and to establish upon the ground land marks." 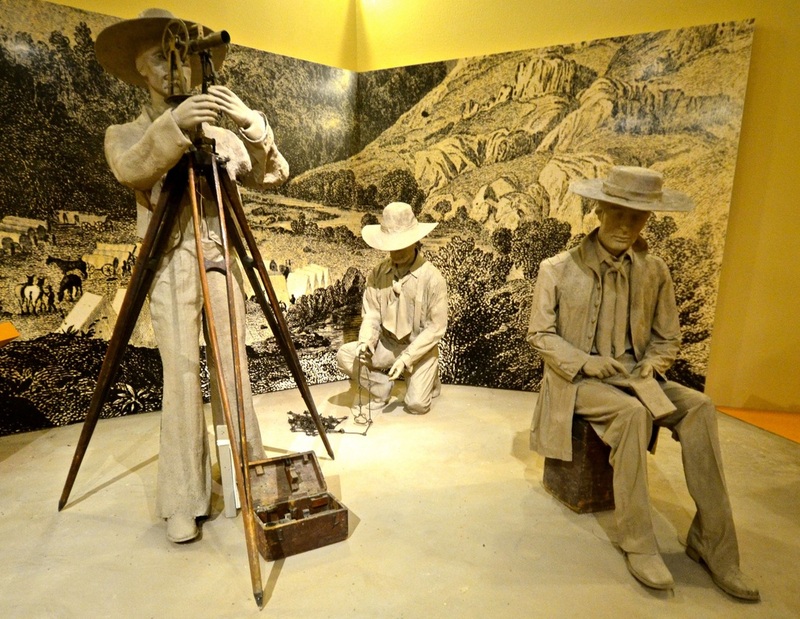 These surveyors, including veterans who had fought against each other in the Mexican-American War, were charged by the treaty to "meet at the port of San Diego and proceed to run and mark the said boundary in its whole course to the mouth of the River Bravo del Norte" in the Gulf of Mexico. "The boundary established by the Treaty extended for almost 2,000 miles, across deserts and mountains and along the courses of two uncontrolled rivers," the Chamizal exhibit explains, referring to the Rio Grande and the Colorado. "It was a land that (surveyor) Maj. William Emory described as 'ill-suited to geodesic operations.'" The exhibit shows impressive images of the rough terrain they had to conquer and explains that although the survey workers "shared no common language, and were divided by patriotic feelings and different cultural backgrounds ... they worked together for eight long years, and shared the hardships and dangers equally. They came to regard each other as close friends and even as brothers." Of course, in the middle of those eight years, the surveyors had been required to step back and redefine a section of the border, because in 1853, Mexico sold another huge chunk of land to the United States. That's when James Gadsden, the U.S. ambassador to Mexico, concluded the Treaty of 1853 with President Antonio Lopez de Santa Anna, who had returned to power after his defeat in the Texas Revolution, and the United States purchased from Mexico the necessary territory to establish a southern route for a transcontinental railroad to California. But it was much bigger than a railroad passage. The territory, known as the Gadsden Purchase — $10 million for 29,670 square miles of Mexico — covered a strip of what is now southwestern New Mexico and a large portion of what is now southern Arizona. After moving that portion of the border north, the survey was completed in 1856, and the new boundary, including the Gadsden Purchase, was certified in 1857. Yet even before they completed their work, at least one of the surveyors had predicted there would be problems. "A considerable portion of the boundary is formed by the Rio Bravo, or Rio Grande; and in the settled portion of the valleys, which are best adapted to agriculture the bed of the river sometimes changes, and transfers considerable portions of land from one side to the other," Maj. Emory wrote in 1856. "A case of this kind is threatened in the valley of El Paso, and anxious inquiries have been made on this subject." It took more than a century to realize a peaceful solution to conflicts created by the shifting river, but that very solution is still worthy of our attention. 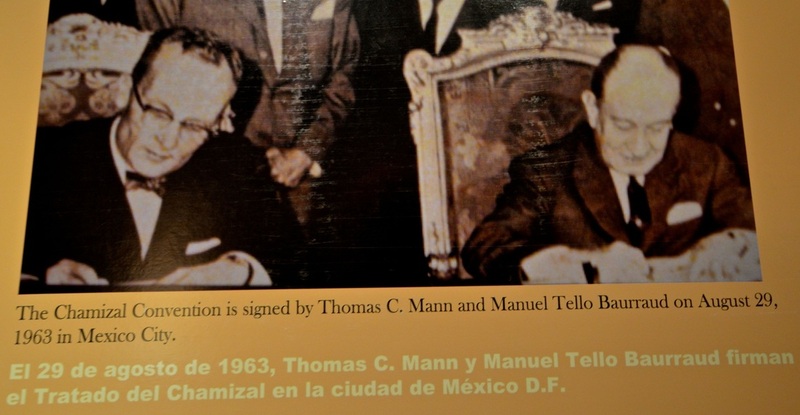 "The solution to this controversy will serve as a notable example to the world at large and will contribute to world peace by again demonstrating that all differences among nations, regardless of how complicated they may be, can be resolved through friendly negotiations," said President John F. Kennedy when the Chamizal agreement was reached in 1963. In today's world, that lesson should not be forgotten. 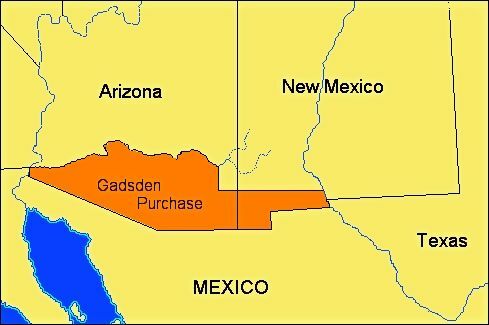 As the Great Hispanic American History Tour heads west into Gadsden territory, more of the Gadsden Purchase surely must be explored. 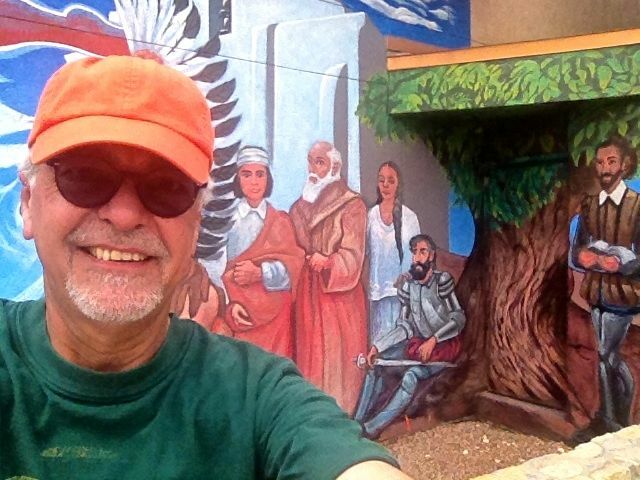 But first, on the way there, we must make a stop at a tall sierra where a Hispanic priest and a Spanish sculptor planted a huge cross that has given many Hispanic immigrants the faith to make treacherous journeys across the barren Chihuahuan Desert to the United States.